Good morning! Someone indulged a little too much last night in some Tex Mex and feeling a little yucky. That someone is me, of course. This morning, I brewed some fresh coffee, and instead of making a big, Sunday breakfast, I decided to try some juiced fruits and veggies. I have juiced on my own at home, but sometimes it’s easier to find a good juice at the store. While walking through the grocery store last week, I passed by the produce section and saw many juice options. 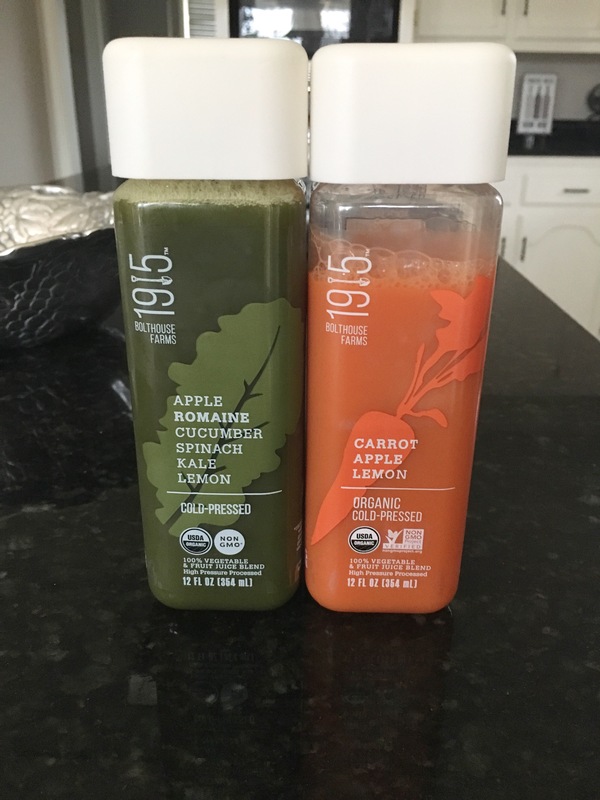 What drew me to the Bolthouse 1915 was the organic, cold-pressed juice that has nothing but that. Fresh juice. No added sugars or anything fancy. Just juice. It’s a nice morning boost after a night of overeating or even a night out. It’s hydrating and delicious with a tad of natural sweetness from the apple, plus, loads of vitamins and minerals. What kinds of juices are you into? Do you prefer to make your own, or are you adventureous and try some already-made juices? I hope you’re having a lovely Sunday!